So today I have more chunky glitter! I managed to pick up this baby on clearance. 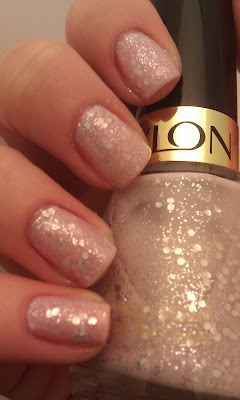 This polish is a light pink jelly loaded with small silver glitter and larger silver hexies. It actually has a LOT more hexies than I thought. 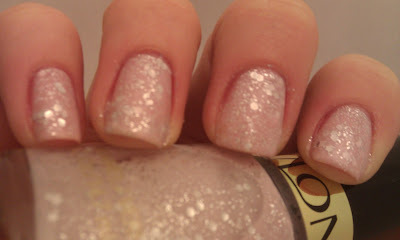 3 coats Starry Pink. Seche. Hope you like! I hope to snag Blue Mosaic next!